FSP is well-known for high-quality moderately-priced power supplies but is not particularly known for high-wattage units. 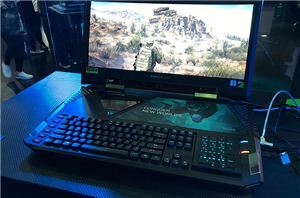 At last year’s Computex the company demonstrated a PSU that could output 1400 W peak with liquid cooling for gamers and this year it showcased its first 2000 W PSU for other market segments. Cryptocurrency mining is opening up new business opportunities in general and for hardware makers in particular. Power supplies for mining are a good example of such new opportunities. 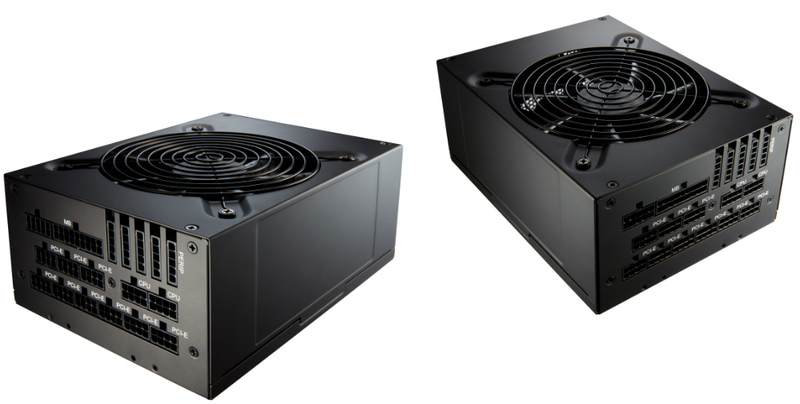 Earlier this week we reported about a 3000 W mining PSU from Qdion, FSP’s entry-level brand. In addition to the 3 kW beast, FSP will offer a less extreme 2 kW PSU designed with mining in mind, but which will also appeal to owners of high-end desktops due to features it supports. 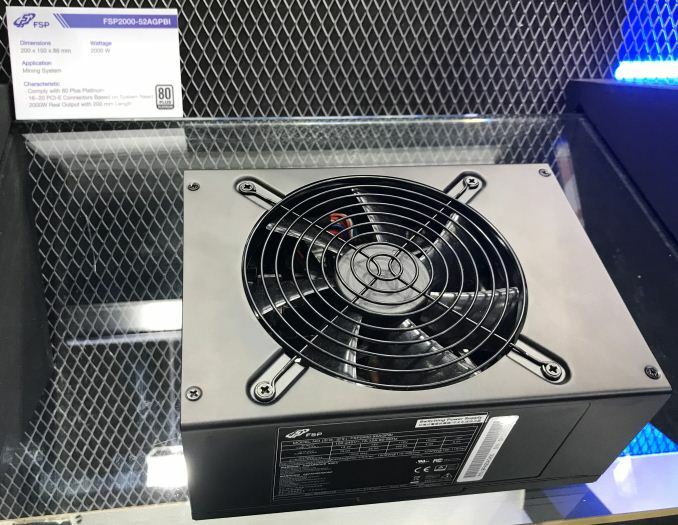 FSP’s Cannon 2000 W PSU (FSP2000-50AGPBI) comes in standard 200×150×86 mm enclosure and is compliant with the ATX 12V v2.4 as well as EPS v2.92 specifications. The power supply uses Japanese capacitors and has a 135 mm FDB fan with an “intelligent fan control,” something that is not usually found in PSUs for mining, but which is common for desktop/workstation systems. 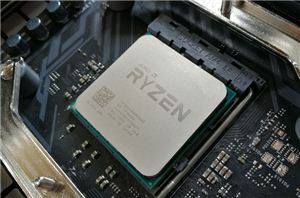 The PSU is also outfitted with two 4+4 CPU power connectors and thus can handle dual-socket systems (again, 2P motherboards are not used for mining). It is noteworthy that the FSP2000-50AGPBI does not carry any 80Plus badge, but FSP says that the unit complies with the 80Plus Platinum logo and is 92% efficient under high loads. 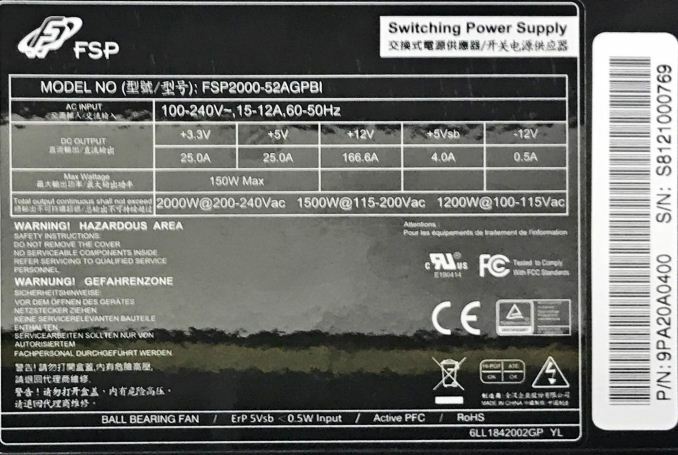 If this is true and FSP can get the badge, this will be the world’s first 2000 W PSU to get it (in fact, there are no 2 kW PSUs that have any 80Plus badges). Unlike the aforementioned Qdion mining power supply, FSP’s 2 kW is equipped with all the standard protection mechanisms we usually on desktop PSUs, including protection against overcurrent, overvoltage, overpower, under voltage, short circuit, and over temperature. Moving on to connectors. 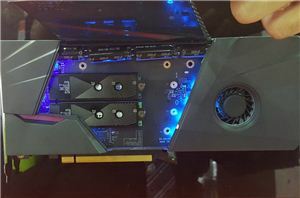 FSP’s Cannon is equipped with 18 8-pin PCIe power connectors and can feed at least 9 graphics cards. Meanwhile, the unit also has 16 SATA power plugs, four Molex connectors, and even one 4-pin FDD connector. While it is obvious that no desktop will ever need 18 PCIe power plugs, no mining system will ever need 16 SATA power connectors, which once again proves ‘mining + HEDT’ nature of the PSU. To make the matters even more desktop friendly, the PSU is fully modular and the unnecessary PCIe cables will just not go into a desktop. Having mentioned a number of times that FSP’s Cannon 2000 W is aimed not only at mining rigs but also on high-end desktops, it is worth describing what kind of HEDT might require a 2 kW PSU. Well, a heavily overclocked one featuring one of the upcoming Extreme Workstation-class CPUs from AMD or Intel (TDP grows exponentially with serious overclocking), two high-end graphics cards, loads of memory, a number of high-capacity PCIe 3.0 x4 SSDs (they are pretty power hungry when configured for performance), multiple hard drives, and all the other components. Even for such a system, a 2000 W PSU is going to offer a lot of headroom, but this is okay for a HEDT in general. 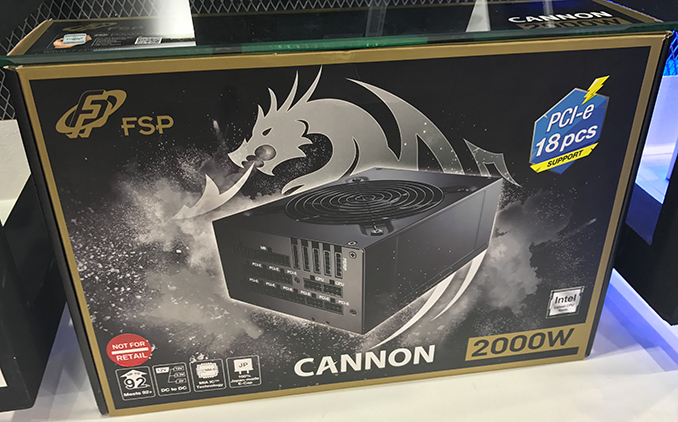 FSP’s Cannon 2000 W PSU is already listed on the company’s website, so expect it to hit the market in the coming quarters (technically, it is available for order now, but there is a shortage of components + sea freight may take a couple of months). The price of the product is unknown, but 2 kW power supplies are far from cheap, think north of $500. And that worked just fine with 1600W and it was hitting CPU frequencies you won't really get with most retail parts. Even when adding multiple GPUs I doubt you can build an "extreme desktop" that can gobble up 2KW. Maybe for an OC platform where you want to reach the highest possible frequencies on all components. We can assume the system needed less that 1600W (Intel wouldn't risk a failure in the middle of the demo). Which means in order to achieve 2KW you need what could be a one of a kind CPU that can reach 5GHz on all 28 cores and 2 of the most power hungry GPUs on the market. Does that sound like an extreme desktop or a prototype/experimental OC bench? > While it is obvious that no desktop will ever need 18 PCIe power plugs, no mining system will ever need 16 SATA power connectors, which once again proves ‘mining + HEDT’ nature of the PSU.